Happy Holidays from Team Sherpa! For those of you who are taking a breather to be with family and reflect on your driving year gone by, here are our top 6 rideshare driving trends we thought you should know. Enjoy! 1. The driver workforce is new and growing faster every week. Whether part time or full time, chances are good you began your independent driving in 2014. Only 16% surveyed have been driving for over 1 year, and half have been driving for less than 6 months. Start today and you'll be a veteran in no time. Using driving as part-time income is the major trend, with 44% of drivers working less than 20 hours per week, and 80% of drivers working 40 hours or less per week. 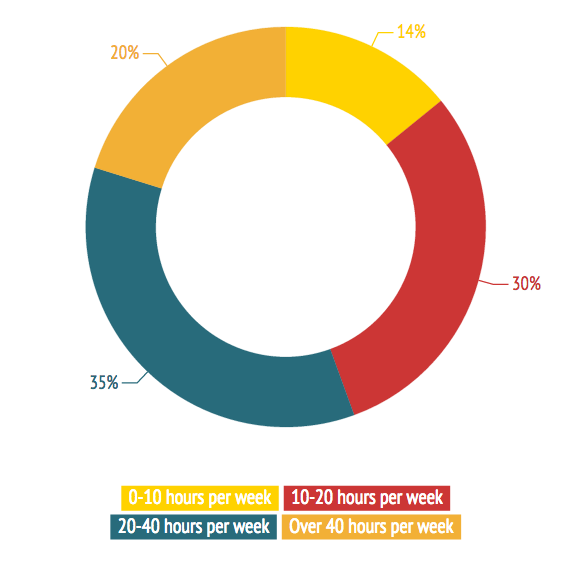 Yes, that does mean 1 in 5 drivers is putting in over 40 hours a week - that's higher than we expected! Over 60% of all drivers are 'satisfied' or 'completely satisfied' with their work as an independent driver. Despite the often loud vocal minority, only 1 out of 7 say they are unsatisfied as a driver. 4. And to stay satisfied, the majority of drivers have other full-time work. We already knew that two-thirds of drivers were earning from multiple services. We are even more surprised to now learn that 70% of drivers had other full time work during all or part of 2014. And over 40% said they had full-time jobs for the entire year. 5. The majority are still using driving as a secondary income source - we hope. For the vast majority, independent driving is not the $90,000 per year job (Uber's example from earlier this year). 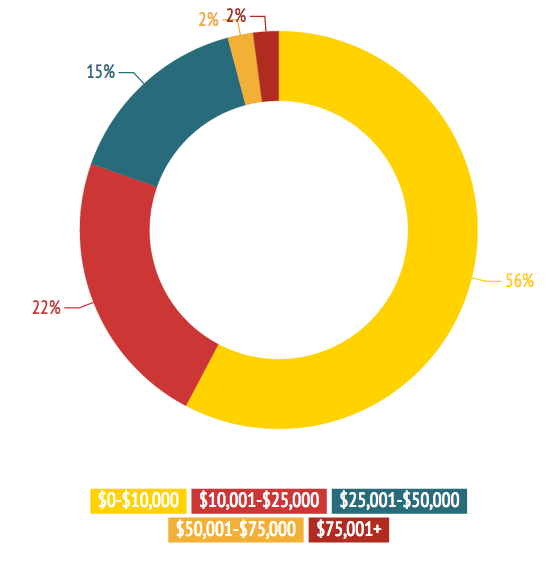 Only 2% earned more than $75,000 in 2014. Nearly 6 out of 10 drivers earned less than $10,000 in driving income in 2014. We were especially interested in this. Our recent Uber driver survey had nearly half of Uber drivers saying they would drive fewer hours for Uber, in response to some of Uber's PR issues. 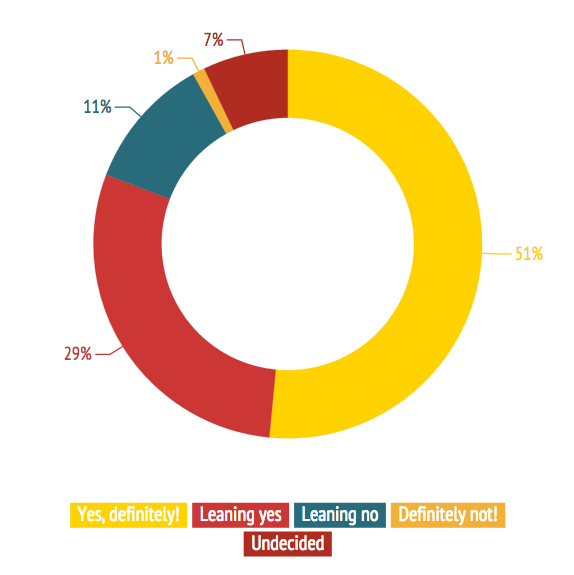 Only 11% of drivers are 'Leaning No' when asked if they would continue driving in 2015, and 7% are undecided. You can see average earnings by city via SherpaShare CityMetrics. Average earnings available for 150+ cities. You'll need to login/signup for a free account, choose your city, and click on CityMetrics.